LOS ANGELES – A Lancaster woman pleaded not guilty Wednesday after being ordered to stand trial for DUI and child abuse charges stemming from a Feb. 19 after-school crash that severely injured one of her daughters, who is still in a coma. Shekia Nicole Walker, 31, picked up her two daughters — ages 6 and 12 — from school just before the crash that injured all three of them. 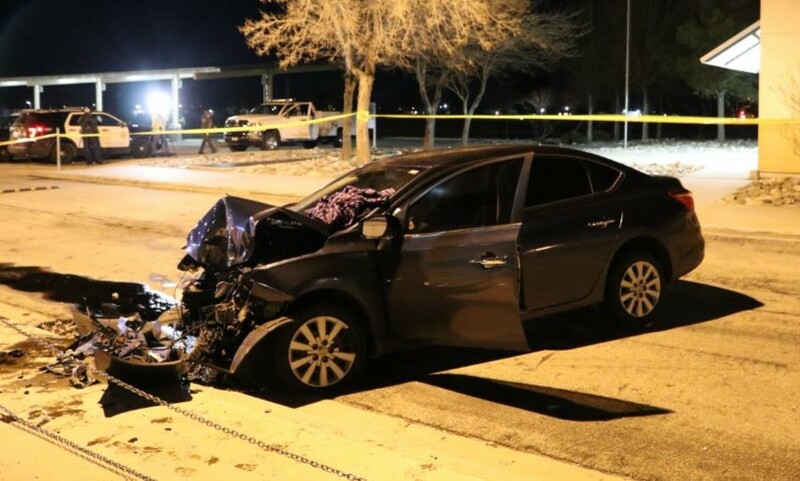 She was allegedly driving at an unsafe speed when her vehicle collided with a pole in the 3100 block of East Avenue I, near Gifford C. Cole Middle School, authorities said. On March 27, Walker was ordered to stand trial on one count each of driving under the influence of an alcoholic beverage causing injury and driving with a 0.08 percent blood alcohol content causing injury, along with two counts of child abuse under circumstances or conditions likely to cause great bodily injury or death, according to the Los Angeles County District Attorney’s Office. The charges include allegations that Walker caused great bodily injury to her two daughters and that the injuries caused the 6-year-old girl to become comatose due to a brain injury and to suffer paralysis, according to Deputy District Attorney SuSu Scott. The 6-year-old girl remains in a coma, according to Ricardo Santiago of the District Attorney’s Office. Walker was arrested by Los Angeles County sheriff’s deputies on Feb. 24 and has remained behind bars since then. If convicted as charged, she could face more than 11 years in state prison, according to the District Attorney’s Office. Walker is scheduled to return to court for a pretrial hearing on May 10 in Department 125 of the Foltz Criminal Justice Center. 5 comments for "Mother ordered to stand trial for after-school DUI crash that severely injured daughter"
If her daughter ends up living she will be probably be paraplegic for the rest of her life. She will walk away free after a few years. Probably even be behind a wheel again one day. Some people should never, ever give birth. At least that school won’t have to worry about her driving drunk and killing someone.